It’s not uncommon for a pothole, curb, or other road hazard to cause a small crack in a wheel. Metal fatigue can also play a part. 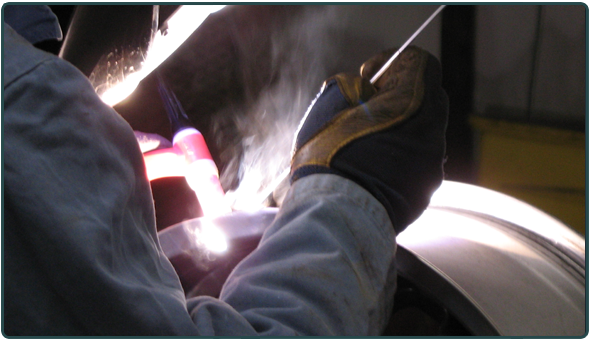 Kwicksilver technicians are trained to handle this type of repair and use only top quality TIG (Tungsten Inert Gas) welders. Some cracks are unsafe to weld, such as those located on the spoke of a rim. In this case, your Kwicksilver technician will attempt to find a replacement OEM rim at a fraction of the cost of a new rim.